There are no stupid questions, there are only stupid answers. In this article I want to show you an example of AOP usage in a .Net real life scenario. My goal is to show you easy is to plugin interception using build-in RealProxy class. Aspect-oriented programming (AOP) is a programming paradigm that aims to increase modularity by allowing the separation of cross-cutting concerns. It does so by adding additional behavior to existing code without modifying the code itself. It sounds easy and it’s very simple. Aspect Oriented Programming paradigm help us to achieve Open/Close Principle from SOLID principles. By the way Open/Close Principle stands for O from acronym SOLID.If you aren’t familiar with Open/Close or SOLID principle I encourage you to read some articles from dev.to or just type “solid” in any web search engine you like. First approach with the decorator pattern is more precise. We can apply AOP to specific method in specific implementation. On the other hand working with the interceptor pattern will be more beneficial in scenarious which are requiring more general approach. We’ve problem with performance of our application. You’re the best developer in our company. You need to investigate and fix poor performance issue as soon as possible. By the way how many times did you hear similar speech in the past? You don’t have to answer. I’ve set up an GitHub repository where I’ve created a simple console application which is using AOP using SimpleInjector dependency injection (DI) library. Lets treat this project as our poor performance, legacy application. Now you’re aware how our situation looks like. What would you like to do as a first step? 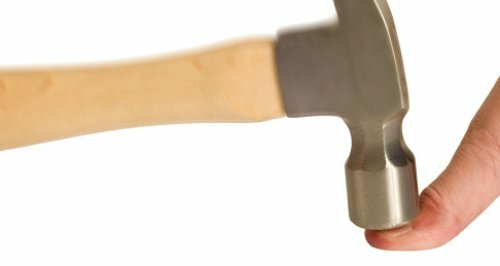 Are you thinking about changing current implementation of RandomFoo? Add some System.Diagnostic.Stopwatches to check method execution times? Did you think about AOP? No? I’m going to show you how can you use AOP and concept of Interceptor to solve this problem without change of any single line of code in RandomFoo concrete. So lets start our work. 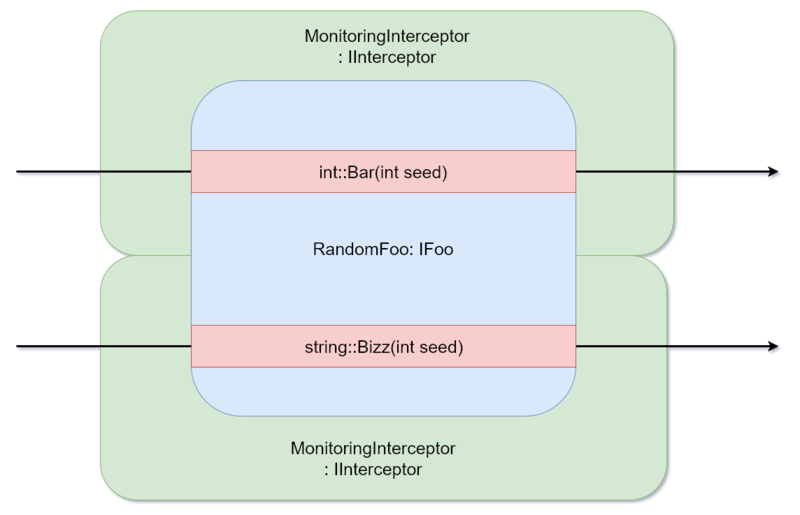 First what we need to do is to implement an IInterceptor interface which is a part of SimpleInjector framework. This interface consists of one method void Intercept(IInvocation) which has to be implemented in derived class. // Calls the decorated instance. As we can see implementation of IInterceptor’s interface method wraps every call. That allow us to add some extra code before and after every call. In our case I’ve added a Stopwatch to calculate method’s execution time which is logged by ILogger implementation. After I’ve created an interceptor, the only thing I need to do is to register it. During a registration of an interceptor we need to specify on which interface methods will it be used. RandomFoo.Bar() executed in 0 ms.
RandomFoo.Baz() executed in 4 ms. I think that with that knowledge we can make some tests and start work of applications performance improvement. We end our day with application which is richer of logs and performance monitoring. We achieved that without any change in RandomFoo concrete implementation. Furthermore we can utilize out interceptor is the future for other (even not created) interfaces and its implementations. Furthermore we can in few steps revert our application to the previous state. Any revert merge isn’t required. Changes in dependency configuration are enough. Be careful about changing the value of methods result. You shouldn’t do that. This isn’t good practice and it could confuse you in the future because it isn’t easy to find where and why values were changed. Interceptors weren’t designed for something like that. In given example I’ve used SimpleInjector DI framework. Most of DI frameworks support AOP. Here is list of some DIs with links to documentation which describes how to achieve Aspect Oriented Programming paradigm. Check if your DI supports AOP too. I hope you enjoy this article. I’m trying to show you new possibilities and help you what to type in Google if you would face such a problem in the future. You can use my tip or not. The choice is yours. Are you wondering why I pasted an image of a car at the beginning of this article? The answer is easy. This car’s name is Jensen Interceptor which has been manufactured in Great Britain. Such a joke from me.